Recruiting Districts - Northern Nevada/California F.I.R.E. Carson City Fire Department's mission is serve the community with pride, commitment, and compassion. The Carson City Fire Department is comprised of seven divisions which contribute to the safe community we enjoy. We serve the community in many different ways, including emergency situation management such as fires and medical services, fire and emergency medical service, hazardous materials, confined space rescue, fire prevention, aircraft fire rescue, and many more. 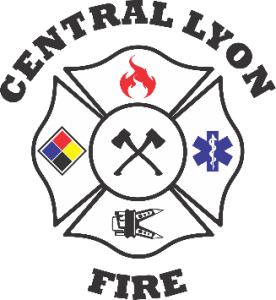 The Central Lyon County Fire Protection District is comprised of over 600 square miles, with an approximate population of 25,000. The District extends from Mound House at the Carson City line, east to Silver Springs at the Churchill County line. The East Fork Fire Protection District is an all risk fire and EMS service provider and are one of Nevada's largest combination fire and emergency medical services agencies. Our career staff consists of one District Chief, two Deputy Chiefs, three Training/Safety Captains, one Fire Inspector, three Battalion Chiefs, twelve Fire Captains, twelve Engineers, twenty Firefighter/Paramedics, and seven Firefighter/AEMTs who work hand in hand with over 34 volunteer fire and medical personnel to meet the service demands of our community. East Fork responds to over 6,500 calls a year and provides service to 96% of Douglas County, Nevada with some jurisdictional responsibilities in the Lake Tahoe Basin. East Fork actively participates in mutual aid both in and out of state. East Fork is one of the founding agencies the Sierra Front Wildland Fire Cooperators and the Quad County Hazardous Materials Team. The district provides services to a resident population of 45,000 and seasonally to over 60,000 persons. Our Fire District is what we consider an “All Risk” Fire District. We respond to all types of emergency and/or public service situations. We have equipment to respond to traditional “fire service” calls such as structure fires, forest (wildland) fires, automobile wrecks and emergency medical services. In addition to these situations, we respond to back country emergencies, boats and and/or swimmers in distress, avalanche extrications, snowmobile and all-terrain vehicle accidents, rope rescue, over the side (hill) rescues and searches. The North Tahoe Fire Protection District protects an area of 32 square miles on the north and west shores of Lake Tahoe. There are six fire stations within the District, located in Alpine Meadows, Tahoe City, Homewood, Dollar Hill, Carnelian Bay and Kings Beach, that are staffed by 50 uniformed and support personnel to nearly 15,000 people within the area we serve. Each of our stations is equipped with state-of-the-art apparatus and is strategically positioned throughout the county to give us timely access to respond to each community. All of our team members, from Firefighter through Fire Chiefs and Administrative personnel, are dedicated to serving our community. These fine men and women help keep the residents, businesses, and visitors of Storey County healthy and safe year round by responding quickly and effectively to any emergency that faces our citizens. There are no recruitments at this time. Please check at a later date. Tahoe Douglas Fire Protection District was formed in 1946 to meet the expectations of the community to guard against the threat of fire in the wildland urban interface. The challenge of meeting those expectations are dynamic which tasks us to be more innovative to respond through a professionally, highly-trained, well equipped organization in those expected services with concern for the well being of our personnel. There are no recruitments at this time. Please check back at a later date.